Another spider like 4wd built in the same manner as that ugly chainlink contraption. It can raise & lower it's height, change wheelbase, independantly drive each wheel as well as lower & raise each wheel. Re: Next Generation 4wd ?? What is with the nose on that thing! Looks like it would hinder version something terrible. And check out the number of controls! stretch4x4 wrote: What is with the nose on that thing! Looks like it would hinder version something terrible. By the looks of it that's where the banks of batteries are. That is a crap load of batteries! Yep he must be a nutter! 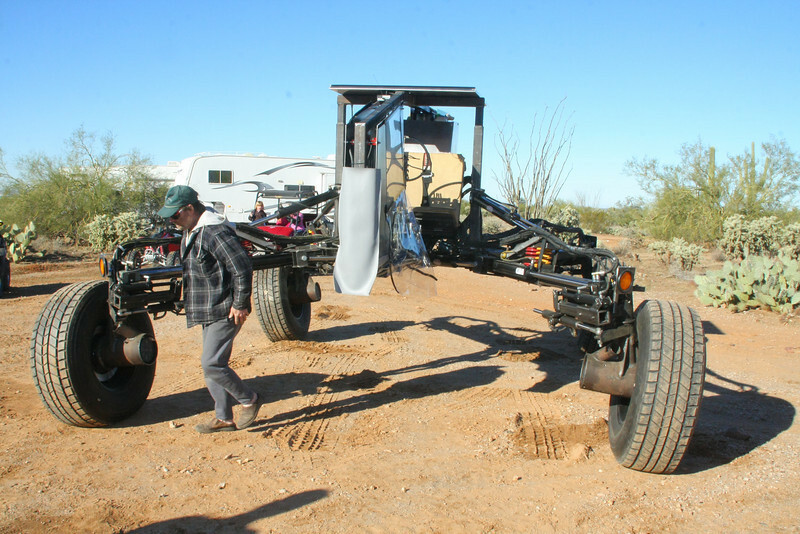 FINALLY someone builds a 4wd that has hydraulic driven wheels!! outback cruisa wrote: FINALLY someone builds a 4wd that has hydraulic driven wheels!! I used to drive a larc V - they're 50 y.o. and hydrostatic drive. I hear what you're saying though - a good idea. Pretty sure theres a few hydro crawlers getting around though. That would be so confusing to drive I'd imagine. There's some seriously detailed work that has gone into designing that though. The Street Hawk is the first vehicle with 46 inches of independent wheel travel without camber or caster compromise. The ride height or ground clearance is adjustable from zero to 44 inches while in motion. The Street Hawk has 1,100 horsepower, 1,805 foot pounds of torque and has a highway estimated 22mpg. 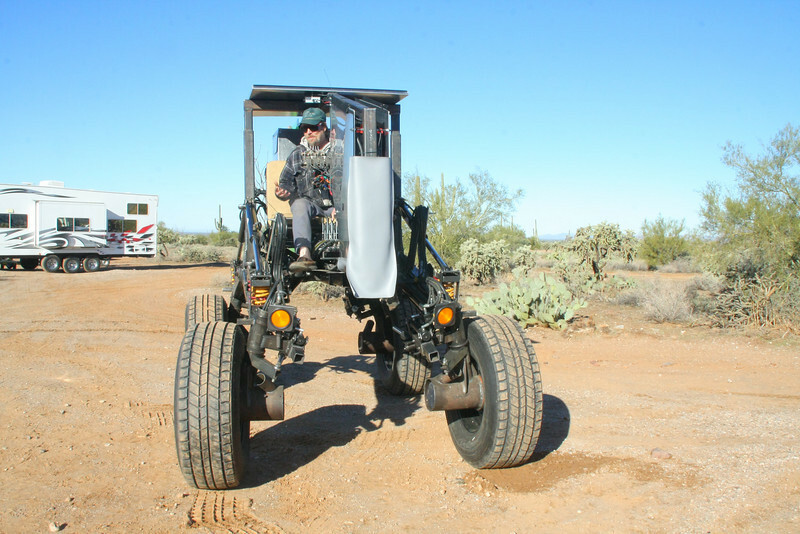 The vehicle is all-wheel-drive with 40 inch tall, 15.5 inch wide tires and 22 inch wheels. The air suspended seats are hand crafter to the driver's specific proportions. From the driver's seat you can control the vehicles pitch, roll and overall ride height using D-pad controls beneath your fingertips. The Street Hawk is the best on-road performing Shadow Hawk. With an overall weight of 4,800 pounds, the Street Hawk can accelerate from 0 to 60mph in 3.5 seconds and has a calculated top speed of 208mph. The vehicle uses an innovative active suspension system that leans into corners and maintains the ideal camber and caster geometry throughout operation. Production is set at 12 units per year with the first vehicle available in late 2011. Check out all the screens in it! Sounds like the perfect ride capable offroad but performs and handles better than a ferrari on.. Folded wings! It flies too! Looks suspiciously like a decepticon.. Better get the transformers onto that. GBC wrote: I used to drive a larc V - they're 50 y.o. and hydrostatic drive.